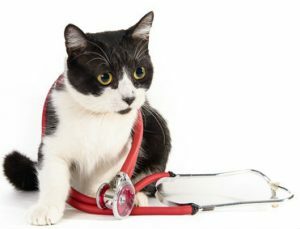 An after-hours vet is just a phone call away. For some reason that only my cats understand, their medical emergencies always happen in the middle of the night when there’s no one to talk to and no place to go except the ER. As I’m packing the poor cat up to for that 20-minute car ride, I long for an after-hours vet who could talk with me and tell me whether this trip is really necessary. Enter GuardianVets, a company that sounds almost like a throwback to the old days, when you could call your vet in the middle of the night and actually get your vet, not a voice mail message. 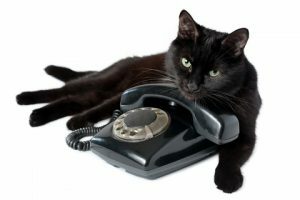 GuardianVets provides an after-hours vet who will talk with you when your vet’s office is closed. The company won the grand prize in Purina’s Pet Care Innovation competition at this year’s Global Pet Expo. It’s a Valentine’s Day tradition at our house. Every cat gets a Yeowww Catnip heart. My cats are old, and we have quite a collection by now! 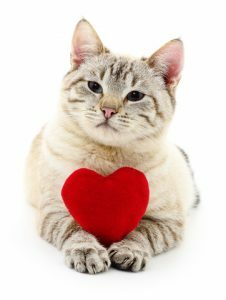 When people ask me about Valentine’s Day gifts for cats, the catnip-stuffed hearts and Hot Cats are always my top choices. But the best gift we can give our cats on Valentine’s Day, and every day, is our undivided attention. Just half an hour or so away from your phone, computer and TV will be as good for you as it is for them. Brush them, go for a walk together, play with a wand or fishing pole toy or just talk with them. If you can make this part of your daily routine, all of you will look forward to your time together. But if you want to buy something really special, these are my five favorite Valentine’s Day gifts for cats. Clicking on the links will take you to Amazon. It would probably come as no surprise to anyone that my favorite gifts have pictures of cats on them. I love cats as art. Pictures of beautiful, graceful, mysterious cats decorate many of my walls. Elegant, sometimes colorful, ceramic and glass cats in all shapes and sizes live on my bookshelves. And then there are the coffee mugs, many of them given to me by favorite clients. I think of their cats and how much I love them every time I use one of the mugs. Finding items decorated, not with silly cats, but with cats as art isn't easy in a city of chain stores and big box retailers like mine. But Amazon has lots. So I've done the shopping for you. 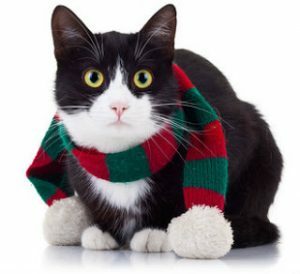 Here are 20 of the best Christmas gifts for cat people from Amazon. Who would've thought. 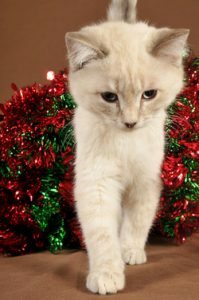 December is National Cat Lovers Month! 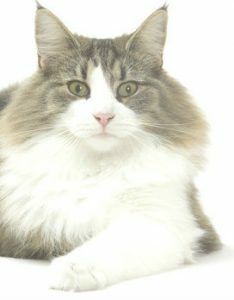 So I guess this is the month when we honor and thank the true cat lovers -- the people who respect and love cats for the amazing, intelligent creatures they are and think of them as more than just cute, fluffy kitties. 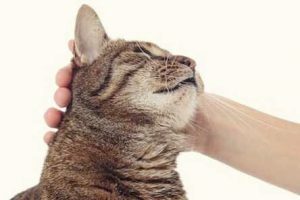 The people who take the time to learn about cats' unique physical and emotional needs. 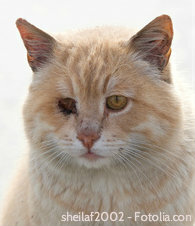 The people who trap/neuter/return community (feral) cats. The people who run rescues for cats who are down on their luck. And the people who save lives by fostering. There are so many true cat lovers. How can we thank them for their hard work, their dedication, and all too often, their tears. 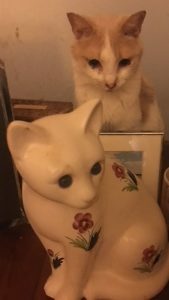 Honey with the ceramic cat that reminds me of her. Last night was the first in 13 years I feel asleep without Honey at my side. She never actually slept with me. She just sat beside me on my bed for a few minutes and looked down at me with so much love in her eyes. Then she’d go under my bed and sleep right beneath my head. Maybe that was her way of sleeping with me. Honey came to live with me 13 years ago and brought her kids — Katie and Winston — with her. They were kittens at the time and came from a horrible high-kill shelter in southern Virgina. They were supposed to go to my rescue’s shelter. But Honey was very sick, so they came here as fosters until she was well. Happily for me, they never left. 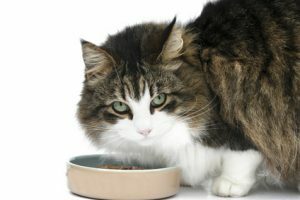 Did You Know The Weather Affects Cat Behavior? Since the days have started turning colder and shorter, everything is different at my house. My cats show me constantly how the weather affects cat behavior. They love outside, but they’re spending more time indoors now. Soda spends his days napping in a basket in a sunny spot on my dresser. Sizzle stretches out full length on my bed, also in a sunny spot. Muffitt cuddles into a pile of pillows on my bed. And Honey Cat has taken up residence in my bathroom, where it’s toasty warm. They’re eating more, too. And that’s another way the changing weather affects cat behavior.